Princess Diana's purple velvet evening gown sells at auction for more than $70,000 | HELLO! December 13, 2016 - 15:48 GMT hellomagazine.com The late royal's stunning gowns were auctioned off in London. 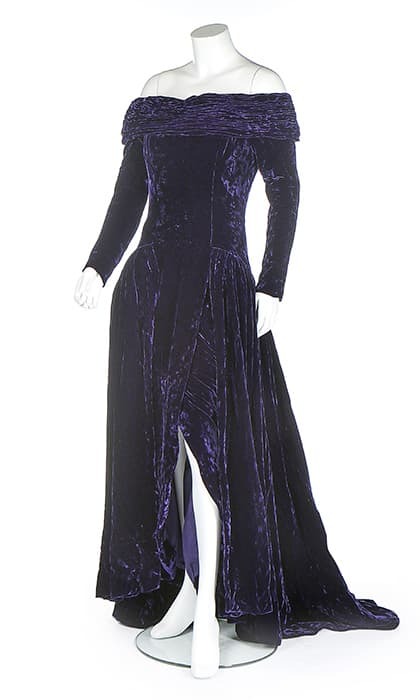 A purple crushed velvet evening gown worn by Princess Diana fetched £45,000 at auction on Monday (Dec. 12). The late princess wore the Bruce Oldfield design during a visit to Portugal with Prince Charles in the 1980s. 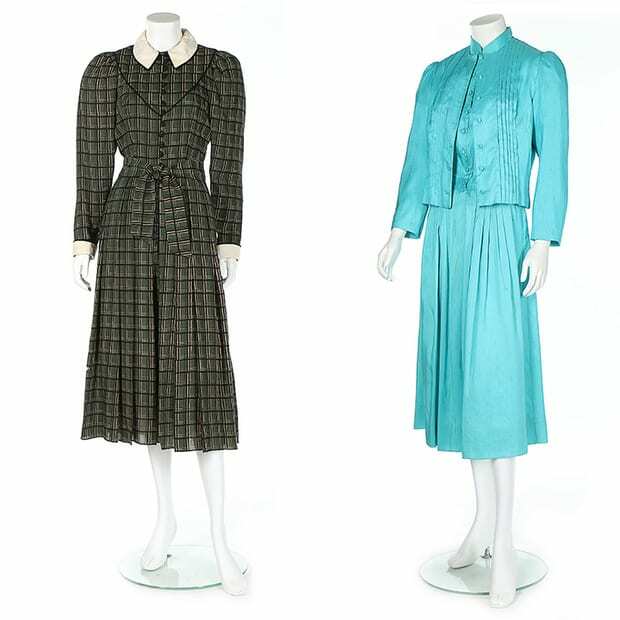 Kerry Taylor Auctions in London put a few iconic pieces from Diana's wardrobe up for auction, including a tartan wool day dress and turquoise Catherine Walker two-piece dress ensemble. While the latter pieces didn't pull in as much as her evening gown, they did change ownership for a cool £5,500 ($9,100) and £4,200 ($6980), respectively. It was on Feb. 11 1987, when the mother of two stepped out in the stunning velvet gown at an official dinner hosted by Portugal's then-president Mario Soares at Ajuda Palace is Lisbon. She added extra glamour to her look by accessorizing the gown with her stunning Spencer diamond tiara. A tartan day dress and Catherine Walker ensemble were also up for sale. Following her untimely death in 1997, Diana's dresses have been auctioned off and featured in fashion exhibits around the world. To mark the 20th anniversary of her death next summer, a collection of gowns will be included in the Diana: Her Fashion Story exhibit, which will be on display at Kensington Palace starting in February.